With this transmitter you can send signal from cameras or other AV devices at distance up to 150 meters within direct line of sight. You can attach to it video and two audio channels. With the switches at rear end of the transmitter you can adjust its output frequency to any one of the standard channels: CH1 - 2.414GHz, CH2 - 2.432GHz, CH3 - 2.483GHz, CH4 - 2.468GHz. Powered by adapter. Operating voltage from 9 to 12 V.
This camera hidden in a flash drive has an infrared diode to be able to shoot in complete darkness. 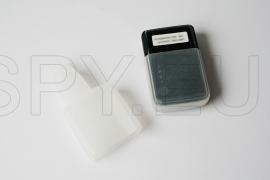 The device has a microSD card slot on which it saves the recordings. With the flash drive you can make audio video recordings in resolution 1280x960 / 30 fps or photos 2560x920 pixels. 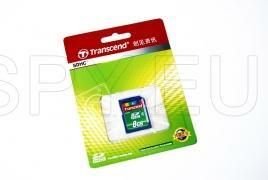 The rechargeable battery provides about 50 minutes continuous recording. With the driver from the disc you can use it as a web camera. The rear-view mirror comes with convenient grips that allow attaching it to all types of regular mirrors. This way you will have a mirror where you will directly receive information on the parking process. It has four sensors which you have to position at some key points of the vehicle. If you supply power from the rear lights you will have light and а sound alerts while parking. On this mirror you will see the direction from which the obstacle is and the distance to it and you will hear the sound signals. 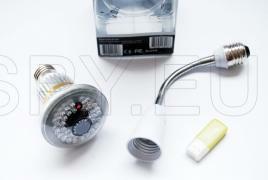 The main advantage of this hidden camera is its lens. Except that it lets you create audio-video files in HD resolution you will also be able to capture most of the objects around it. The lens has a viewing angle of 120 degrees. The camera captures audio-video files in resolution 1280x720 at 30 frames per second and photos size is 3MP. 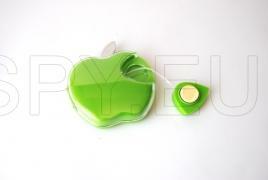 The rechargeable lithium-polymer battery provides about an hour and a half continuous operating time. 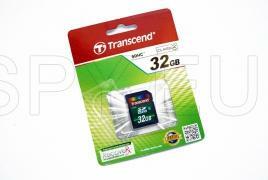 The device has a microSD card slot and you can insert a card up to 32 GB. The camera hidden in this remote will allow you to make audio-video recordings in high resolution. The files are in AVI format with 1280x720 pixels and 30 fps. You can also take pictures in JPEG in resolution 2048x1536. With the built-in rechargeable battery you can capture video for about an hour. 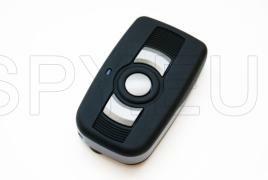 If you do not want to rely on the built-in battery the remote can record directly powered on by cable. Then the video recording starts automatically when you turn the device on. 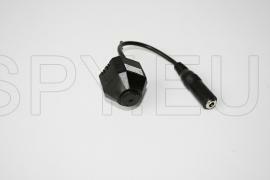 The kit includes an adapter for the cigarette lighter of the car. 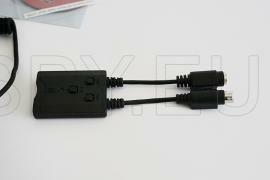 With the cable from the kit you can watch recordings directly on your TV screen. Extremely small camera, audio-video recording in AVI file format, 720x480, 30 frames per second. 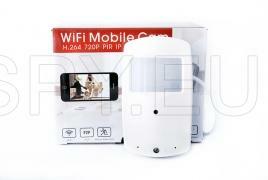 It's a versatile camera that you can use as a web camera for on-line video chat. There is a set of clips for attachment to various objects. Equipped with a record button, a light indicator. 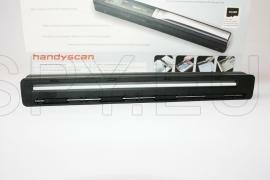 Portable handheld scanner that you can carry with you at all times. With it you scan documents, photos, magazines and any other printed and promotional materials and store them on a microSD card. The scanner has a display that is clearly displays the currently active mode. You can scan in color or black and white at resolution 300 or 600 DPI. There is an indicator of a successful scan or scan error while scanning. 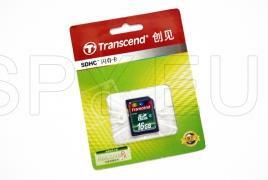 All documents are saved in JPEG file format on the microSD card (which not included in the kit) with a maximum supported capacity of 32GB. With the FORMAT button, you can quickly and easily format the card without inserting it into a computer. 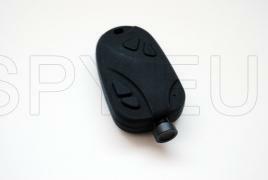 The camera is mounted in a housing of a PIR sensor and allows you to keep track of the prefered area. Also, the device has a microSD card slot which can locally store the recorded information from the room. You can record pictures or videos on a predefined schedule or upon the occurrence of an alarm event. Apart from your computer, you can easily see the image of the camera on your mobile phone. For this purpose there is included software for Android or iPhone. It supports multiple protocols such as TCP / IP, SMTP, HTTP, UPNP, P2P, ONVIF and others. Works with 12V DC power supply. With this digital video recorder you can record the signal from wireless cameras in real time. As well as a digital recorder, you can use the device as an audio player (supported file formats are :MP3/WMA/AMR/AAC/FLAC/APE), while the video player (supports the following file formats: RM/RMVB/AVI/FLV/MP4/ASF/3GP/WAV/VOB/DAT/MPG), you can also view pictures in JPG file format and you can read e-books in TXT file format. Using the video output of the device you can view the recordings on an external screen. This HD camera allows you to record audio-video files in MOV format with full HD 1080p resolution and photos with 8 MP. To have a sound plug in an external microphone (not provided). You can take photos even while recording video. 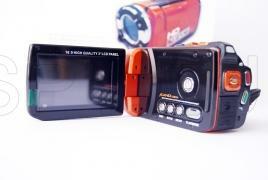 It is equipped with an LCD screen where you can see immediately the captured videos and pictures. The camera has an SD card slot. After connecting it to a PC, you can transfer data via USB cable. 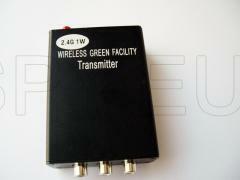 This wireless 5.8 GHz transmitter can transmit AV signal from CCTV cameras. You can mount the camera and transmitter in different places and at a distance from one another and thus maximize good disguise. There are 8 channels of broadcast and using less congested frequency band of 5.8 GHz you can get very good picture quality and sound. 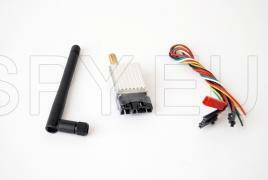 Wireless receiver kit also has a small footprint, easy installation. 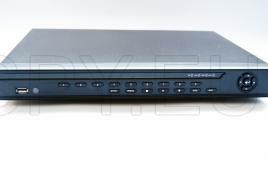 With the included cable, you can watch live TV signal or combine with one of our DVR to record it. This camera has a degree of protection IPX8 and allows you to take pictures underwater up to 3 meters deep. The recommended time for use in water up to 60 minutes. There are four resolutions of the video, which is recorded in AVI format - 1080p, 720p, WVGA, QVGA. For shooting in dark areas has bright LED that turns on and off with the button. This device can convert any object into a speaker. You can use any object such as cups, cans, bottles, etc. the vibrations of the device are converted into sound. Works with any audio source that have a 3.5mm jack. It's powered by two 1.5V AAA batteries. 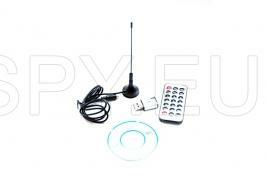 With this digital tune you can watch terrestrial digital television in high definition. It is external, connection to the computer is achieved via USB port. 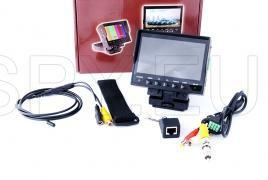 It includes electronic program guide EPG, teletext, fm radio, picture-in-picture function. For your convenience you are provided with a remote control. 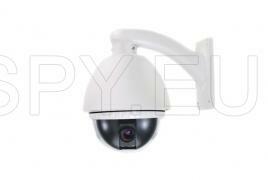 IP Camera features a very sensitive 1/4 CMOS sensor and three times optical zoom. 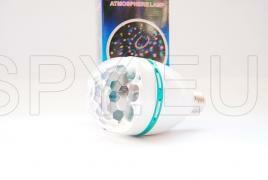 Located in a solid dome it can be rotated remotely in any direction you want. The device supports a wireless Internet connection and also supports HTTP / TCP / IP / UDP / SMTP / DDNS / SNTP / DHCP / FTP. It is possible to define user rights at several levels. You can record audio and video with MJPEG compression and 640x480 or 320x240 pixels. It features bidirectional audio communication and a software motion sensor. These quality headphones can play audio files from various sources.You can use it as an ordinary PC headset with 3.5mm cable you can plug them into any audio source such as a stereo system etc. Theire is a built-in radio tuner you can use it as a radio receiver. With one touch of a button it scans the radio range from 79 to 108 Mhz, stations could be saved. This headset can be used as an MP3 player too. 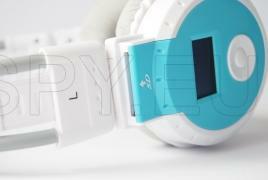 It has an SD card slot, where you can save music in MP3 or WMA format and listen on headphones. Equipped with LCD display to keep you informed about state of the device and rechargeable lithium-ion battery that allows more than 5 hours operation. Thanks to its waterproof casing, this camera is designed for outdoor installation, the records are stored on the microSD card and the maximum size is 16 GB. 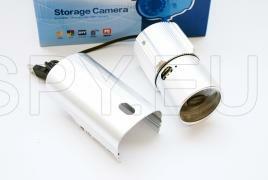 The camera has three modes of operation as a PC camera, recording and continuous motion detector. Video resolution is 640x480 and with modes - low, medium and high quality. Each mode changes the number of frames respectively - 8, 12 and 20 fps. If you insert a card of 16 GB you can do about 20 hours of recording. When the memory is the oldest files will be deleted in their place will subscribe to. 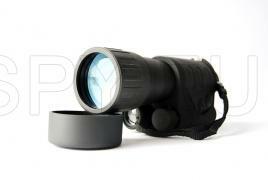 For shooting in complete darkness the camera has 24 IR LEDs that allow visibility of about 15 meters. With the camera from this set, placed at the right place you will have a complete view when parking in reverse. For better orientation in space it provides a raster display system. 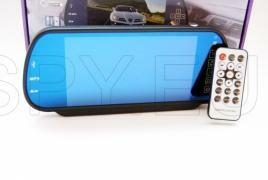 The screen that is mounted on the rear view mirror is TFT LCD measuring 7 inches and 16:9 and 4:3. You can connect two sources of video signal to it – e.g. camera and DVD player and stereo audio output. Furthermore, the assistant parking mirror is a multimedia device. It has an SD card reader and a USB port which allows you to play videos in AVI, MPEG, music in MP3, WAV, WMA or view pictures in GIF, BMP or JPEG. 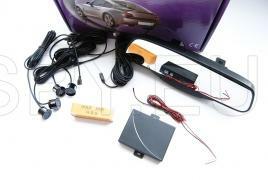 The device has a FM transmitter so you can listen to the sound on the stereo audio system of the car. 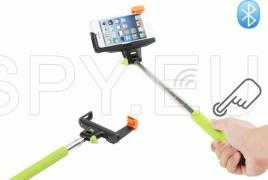 Lightweight steel telescopic stick ending with universal mount for mobile phones. Connection between the phone and the tripod is through bluetooth. The handle have a button with which you take the pictures. Transmits audio and video signal. With this device you will have visibility even in total darkness, it won't need additional light because it has built-in IR source to help you see everything at full darkness.You can use it for research in nature to observe animals for hunting even it can be useful if you are trying to rescue some people lost in the woods.This night vision device works with a rechargeable battery. The package also contains a charger for it. With this lightweight and compact portable scanner you can scan quickly any documents, photos and promotional materials. Operation is very simple everything is managed by the buttons on the top side and the operating mode is displayed. Easy to use standalone video recorder which captures video in H.264 file format. It is equipped with 16 D1 inputs with BNC connectors and four audio inputs. 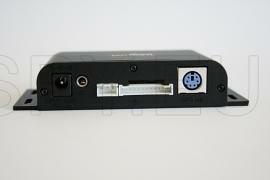 For the local surveillance you are provided with two BNC video outputs, one VGA, one HDMI and one audio output. You also get four alarm inputs and one alarm output, two USB 2.0 inputs and one RS485 interface. Get ready for a crazy party with this impressive lamp with voice control. There is no need to do any preparation. You only need to turn the lamp in place of any ordinary lamp and after playing the music you will enjoy one unique light show. 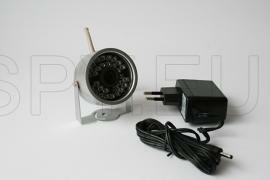 2.4 GHz waterproof 1/4 inch CCD camera, equipped with built-in 24 infrared LEDs for night vision. 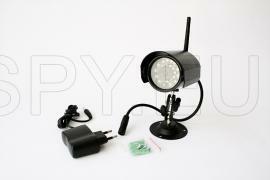 1/3 inch CMOS wireless camera with built-in 30 infrared LEDs for night vision with range up to 15 meters. 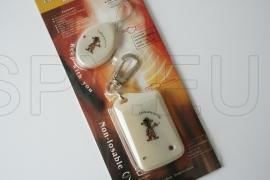 With this alarm can make sure that you will never forget or lose things important to you. 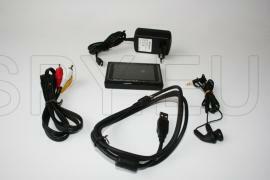 The system is comprised of wireless transmitter and receiver. When the transmitter is away at a certain distance, the receiver starts sounding the alarm. With this device you will never have to worry about losing your child in a store or if you pet will get away too far from you or that someone can steal your wallet, cell phone, keys, etc. Using this system is a very easy task. 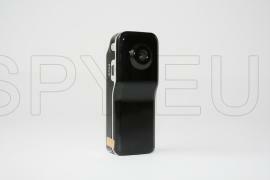 Ultra small wireless camera with bare size of 23x23x23mm. The camera has a built-in microphone. 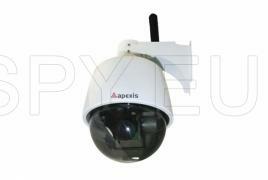 This is a dome camera in waterproof housing designed for outdoor installation, with 1/4 inch CCD sensor. Its resolution is 795x596 pixels and 500 TV lines of horizontal resolution. The optical zoom is x10 and the digital zoom is x10, day and night feature, and several focus modes, gain and control of white balance. The camera has a 360 degree range of rotation horizontally and 180 vertically, with a maximum speed of rotation 360 degrees for one second. There is an option to connect it to keyboards and recorders in RS-485 interface. This external antenna for the GPS tracker Haicom HI-602DT can receive signals from satellites even if tracker is kept in more covered places. Plug it into the external antenna jack on the tracker and attach the other end to a more suitable open area. With this device you can record on a SD card all the position data, velocity, time and altitude from your tracker and then you play them back with the software from HAICOM. Thus it is not necessary for you to maintain a constant connection to the tracker, and you can also transfer all the data for the route at once to the SD card. The data on the card can not be read remotely. The kit includes a device to draw power from the car cigarette lighter and you can choose whether to supply it from there or from the tracker. 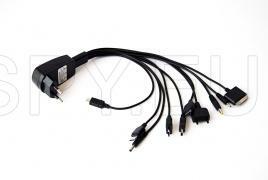 To maintain a continuous power supply for the GPS tracker and not to rely on the rechargeable battery you can use this power cord. 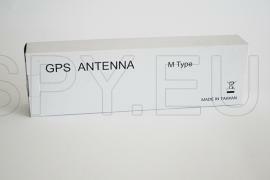 It has a length of 1.80 m and allows you to place the tracker at the right spot. Bear in mind that the tracker must have a direct field of view to the satellites so that the location can be determined correctly. If placed at the selected location the tracker is unable to connect please use the additional antenna. 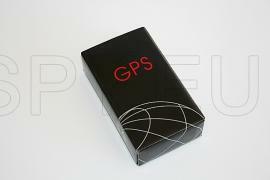 With this decoder bluetooth you can establish a connection to a GPS tracker without the use of a cable between your mobile phone and the computer. This decoder has to be placed next to the speaker of the phone and it sends the data from the tracker via bluetooth to a computer or smartphone. It is powered by two 1.5V batteries type AAA. On the front side of the decoder there is LED indicator to help you keep track of its operations. With this device not only you will have information on where the vehicle is located but also you will have complete control over the vehicle. You can plug it into the car alarm system and to control two relays. If one of them is for example the fuel pump relay you can adjust the tracker in a way that when leaving a predefined geographical area it will stop the fuel and that way it will prevent the vehicle from leaving the area. The control unit is able to adopt an external sensor (not included in the kit), which can respond to vibrations or microwaves and thus receive information when the vehicle is in motion. Powered by electric current 12-24 V DC. The kit includes no source of power. You will have to connect the unit to the vehicle battery. With this silicone case you can protect your tracker from moisture and dust. Placing the tracker in the pouch is a quick and easy task, there is a hole for the power and data cables. If you have several mobile phones and every time you wonder where your charger is with this set of tips for charging mobile phones you will always have a large range of chargers in hand. With the USB connector, you can boot directly from your computer or to use any of the included adapters - contact or car lighter. 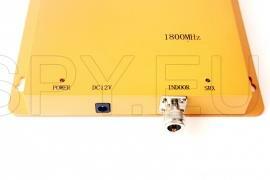 Very powerful amplifier within the range 1800 MHz installation is very easy and the service too. It is necessary to connect a reception and transmitting antenna to it with 50 ohm cable and powered it on. Important: th two antennas shout not be directly visible to each other and should be located on different horizontal planes. With this device you can watch inside the most inaccessible places. A very small 3.9 mm camera is placed at the end of a 1 meter long tip. To provide visibility in total darkness the endoscope is equipped with a bright LED. The explored areas can be watched on a 2.5 inch TFT LCD display. Video signal from the camera is fed to a standard BNC connector and what is more, apart from the mini camerata you can receive signal from any camera using cable. 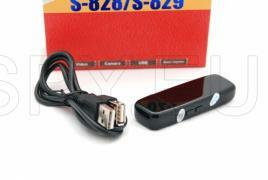 The screen has a rechargeable battery with a capacity of 2000 mAh. The extremely small diameter of 3.9 mm endoscope camera will let you to look in the tightest spaces and the bright LED will finally help visibility in complete darkness. The camera is mounted in a flexible tube 1000 mm long and 3.5 mm diameter. 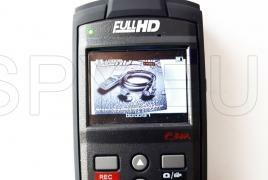 The image from the endoscope can be seen on a 4.3 inch TFT LCD color screen. 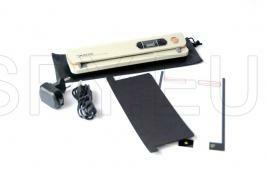 It has a comfortable handle, which can be transformed easily into a tabletop stand. 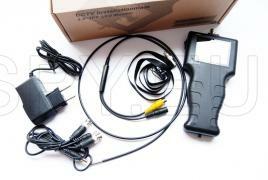 Besides being an endoscope this device can also be used as a tester for CCTV cameras. With its help you can adjust the cameras by monitoring their image on its screen. 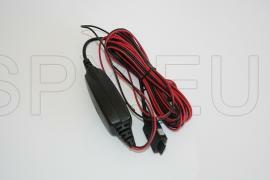 The kit includes a LAN cable tester, which you can check whether your network is fine.